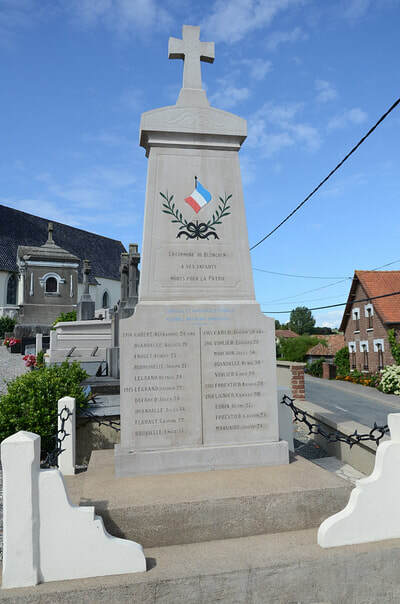 Bezinghem is a village and commune 13 miles (22 kilometres) south-east of Boulogne-sur-Mer and about 9 miles (15 kilometres) north-north-east of Montreuil, a town on the Boulogne-Paris road (N.L) and the Boulogne-Arras railway. Montreuil is the nearest station to Bezinghem, and the best way to reach the village is by taxi from the station. 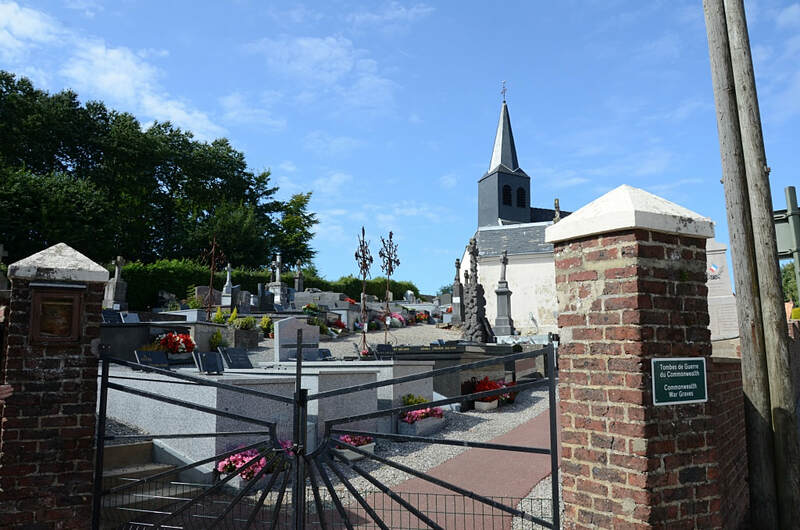 There is a bus service from Montreuil to Enquin-les-Ballons, but this is 2 miles south of Bezinghem. 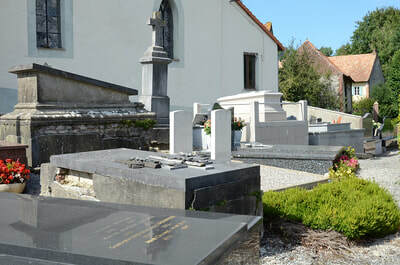 In the churchyard, near the boundary wall and below the middle of the southern wall of the church are the graves of one Canadian airman and one New Zealand airman. 426149 Flight Sergeant Stuart George Catto, Wireless Operator/Air Gunner in 226 Squadron, Royal New Zealand Air Force, died 1st September1944, aged 21. 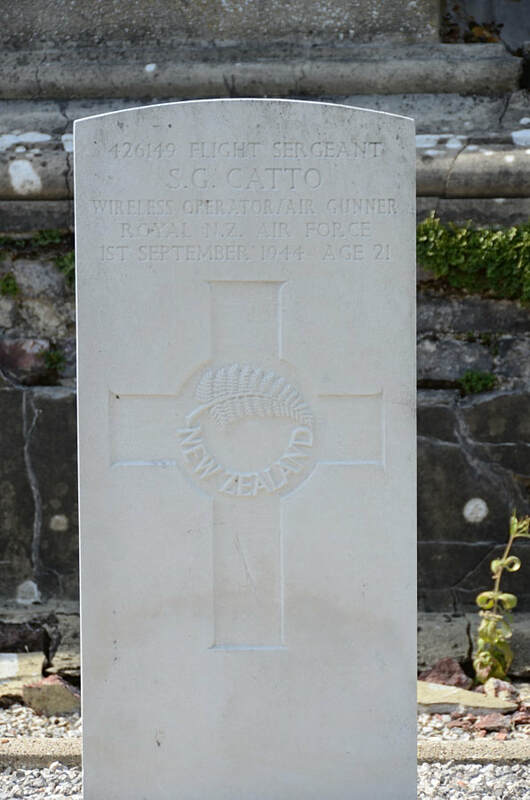 Son of John and Pearl Catto (née Hellier) of Otikerama, Southland, New Zealand. 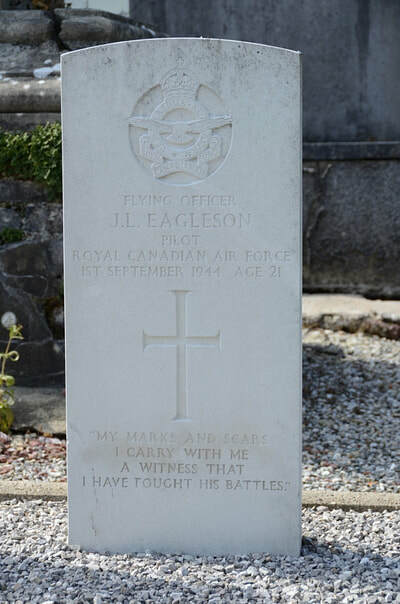 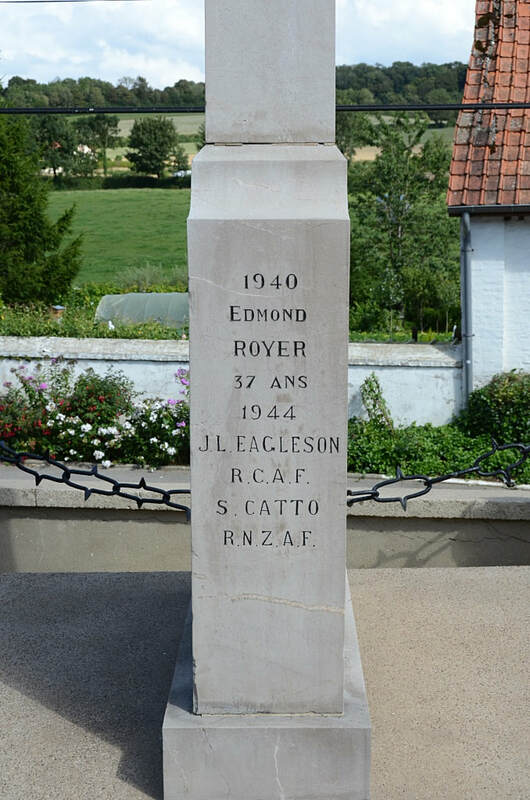 J/27715 Flying Officer James Lyman Eagleson, Pilot in 226 Squadron, Royal Canadian Air Force, died 1st September1944, aged 21. 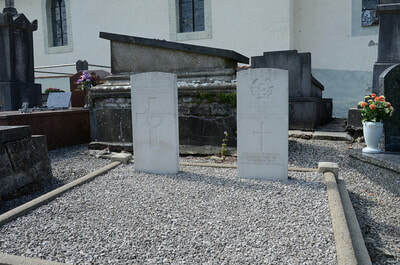 Son of S. Preston and Helen M. Eagleson of Ottawa, Ontario, Canada; husband of Gloria F. Eagleson.